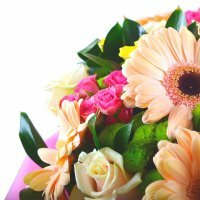 Gerbera creamy(5 pt. ), Rose cream(5 pt. ), Rose yellow(5 pt. ), Сhrysanthemum green(5 pt. ), Rose spray pink (3 pt. ), Greens(2 pt. ), Packing(2 pt. ), Tape(1 pt.). 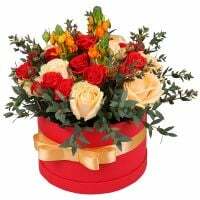 Birthday, Business, Colleague, For grandmother, For her, For mother, For young lady, Gratitude, I Miss You, New-born, Sorry, Teacher, Wedding flowers, Аnniversary. 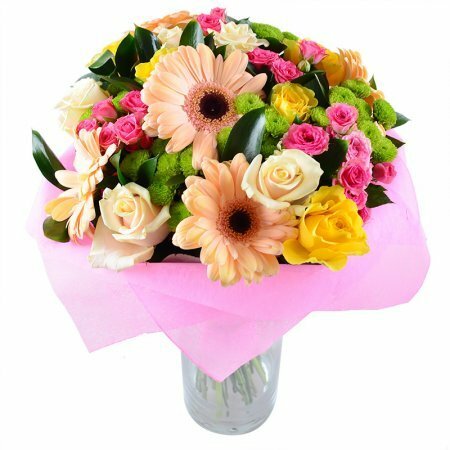 The elegant female bouquet of colorful roses and lovely cream-colored gerberas. These flowers wish happiness and compose a pastel part of the composition while small pink spray roses make it brighter and symbolize happiness, smiles, femininity and admiration. 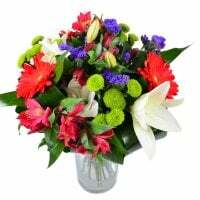 Such a bouquet will make every holiday memorable and even more cheerful. 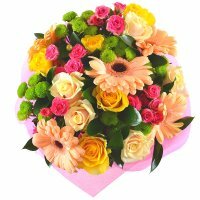 These flowers are so positive and good that you can take them for a date, corporate birthday, professional and personal celebration. They will help a sick one to recover soon, express sympathy and gratitude, wish the dreams to come true. And you can present them to anyone for any joyous occasion! 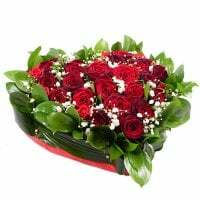 Design of the bouquet can differ from the one presented on the site. 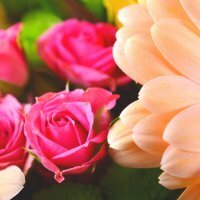 Vase is not included in its cost, you may order it separately.